Just Being Frank: We moved! This past Friday, we successfully moved out of our wonderful condo and into a teeny tiny apartment temporarily while our house is under construction. We anticipate staying in this apartment for 6-8 months until the home is ready for us...but any sooner than that would be GREATLY appreciated! As much as we enjoy living in a 550 square foot 'alcove' apartment....BUILD OUR HOUSE FAST. PLEASE. I plan to provide updates on my blog throughout the construction process. This is a pretty foreign process for most people, so my hope is that you will all learn a bit about construction and the process of building a home. And perhaps...it will inspire you to look at that great old house a bit differently. Or finally complete that addition you had hoped to do since you bought your home. Or cause you to run screaming from construction for the rest of your lives. Which could happen. But now...I need your help! As I have mentioned, Debra and I will be participating in the breast cancer 3-day event again this year. For those of you who are unfamiliar with the walk, it is a 3 day, 60 mile walk to fight breast cancer. Each participant must raise a minimum of $2,300 in order to walk. Last year, thanks to everyone's support, we exceeded our financial goals, and had a great walk! Now...it's time to do it again! Debra and I have been busy completing training walks each weekend, but now I need all of your help. #1. If you can...please donate! Below please find the link to my fund raising page, you can donate online, or if you would rather send a check, email or post a comment and I will help you with that process. Your support of breast cancer research is appreciated more than you will ever know. 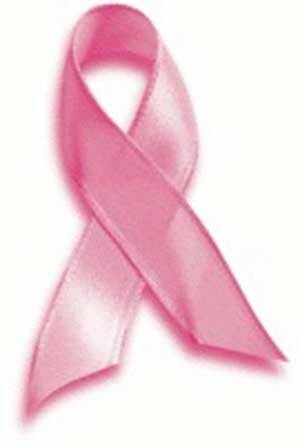 Somewhere in the world, a woman dies from breast cancer every 68 seconds. If you can, please donate. Any amount helps. You donate, we walk our butts off. Seems like pretty good deal for you. #2. As you may remember from last year, training walking can be boring. Therefore, we decided on a fabulous idea to involve all of our family and friends. How excited would you be if we walked to your house? You would be thrilled. You would decorate. You would cheer us on. You would make lunch. You would feel like celebrities were visiting. Or so we envisioned at mile 13 of 15. But it actually worked very well! It gave us a new place to walk each week, and allowed us to break the monotony of walking each of the chain of lakes ten times. So...if you are interested in hosting Debra and I at your home, apartment, etc...let us know! We would love to come visit. We typically start walking early, 6:30-7:00 on Saturdays or Sundays and finish somewhere around 11-1 depending on the mileage. Thank in advance for your support. We appreciate everything you do. I'd love it if you stopped at my place! I know my house is pretty close to the start of your walk, but stop even if it was a bathroom break and light breakfast/snack. Can't wait to hear about the house progress!